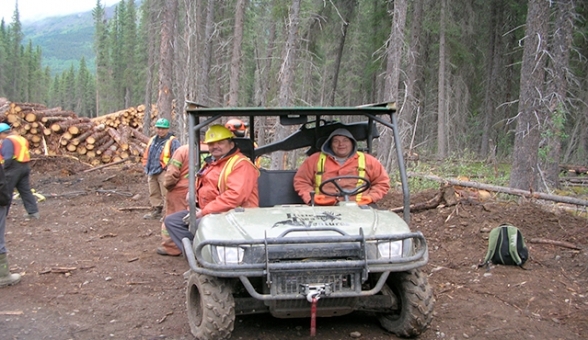 TNDC is one of the largest employers in Tahltan territory. Through TNDC and Spatsizi Remote Services (our camp services division), we provide full time, part time and seasonal employment opportunities at our Dease Lake facility, the Red Chris Mine and project sites in Tahltan Territory. Positions range from heavy equipment operators, mechanics and general labourers to janitors and cooks to accounting and office assistants. Some positions require skills, certificates and experience, while others are entry level. We provide competitive wages, support training and embrace a culture of integrity, unity, respect and accountability. We support our people in achieving the highest certification in their position and work with high performers to support plans to advance their careers. We’re always on the lookout for skilled and trained workers as well as general labourers and invite you to submit your resume. Be sure to check out our current employment opportunities.